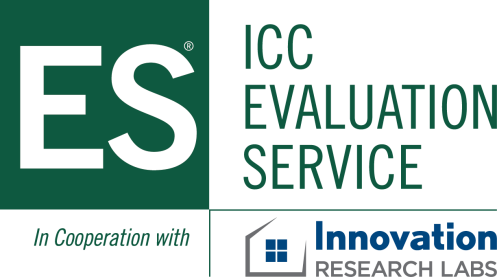 ICC Evaluation Service (ICC-ES), the premier product evaluation/listing agency in North America, and Innovation Research Lab (IRL), one of the most respected product testing/research labs, have entered into a cooperation agreement in order to better serve the manufacturers of building and plumbing products. This relationship will enable ICC-ES to bring testing, evaluation and listing under “one” roof, essentially creating a “one-stop” agency. A key benefit will be the availability of a front-end test plan, agreed upon by all parties, which will speed up the listing and evaluation report process. It will also minimize delays in obtaining testing data. This cooperative agreement covers a wide range of products in the built environment. Applicants remain free to continue to use any accredited testing lab in connection with evaluation reports and product listings. However, ICC-ES encourages applicants to take advantage of our new relationship with Innovation Research Labs. We are confident that having Innovation Research Labs serve as your guide and advocate through the evaluation process will further our goal of providing the best client experience in the industry. Initial contact made with either ICC-ES or IRL. Review of the product and establishing a protocol for testing and time estimate. Application for ICC-ES Report or Listing. Statement of work is generated. ICC-ES & IRL coordinates on testing requirements and project scope. IRL conducts required tests and submits data to ICC-ES for evaluation. ICC-ES finalizes Report or Listing. ICC-ES issues Evaluation Report or Listing and publishes report. Thank you for contacting ICC-ES Evaluation Service. Your details have been successfully submitted, and we will respond within 24 hours. A nonprofit, limited liability company, ICC-ES is the United States’ leading evaluation service for innovative building materials, components and systems. ICC-ES Evaluation Reports (ESRs), Building Product Listings and PMG Listings provide evidence that products and systems meet requirements of codes and technical standards. The ICC-ES Environmental Programs issue VAR environmental reports that verify a product meets specific sustainability targets defined by today’s codes, standards, green rating systems and ICC-ES environmental criteria. The Environmental Programs now offer Environmental Product Declarations (EPDs), to meet global market demand for science-based, transparent, quality-assured information about a product’s environmental performance. ICC-ES is a member of the ICC Family of Companies. For more information, please visit dev.icc-es.org. Innovation Research Labs is the premier accredited product testing laboratory servicing the building industry, with over 50 years of experience helping product manufacturers successfully bring new and innovative products to market. Its comprehensive product testing services cover a wide variety of performance characteristics, from structural performance, to durability, to energy efficiency. Products bearing the Research Labs’ mark provide manufacturers confidence of in-field acceptance by builders and code officials. In addition to its product testing and certification services, Innovation Research Labs also provides manufacturers a complementary suite of market research services, both qualitative and quantitative, to provide the necessary customer insights and usability assessments throughout the product development life cycle.